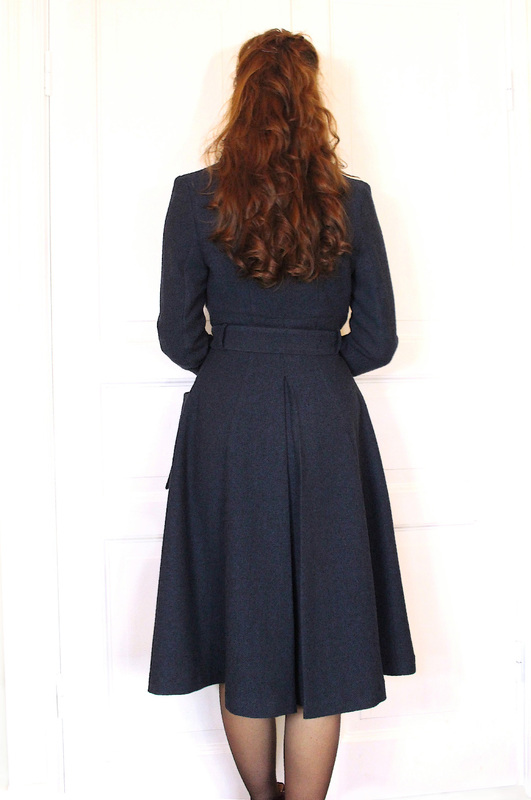 Lovely coat with an air of the early 40´s. Qualitative Italian wool mix. This fabric has a soft and flowy drape. 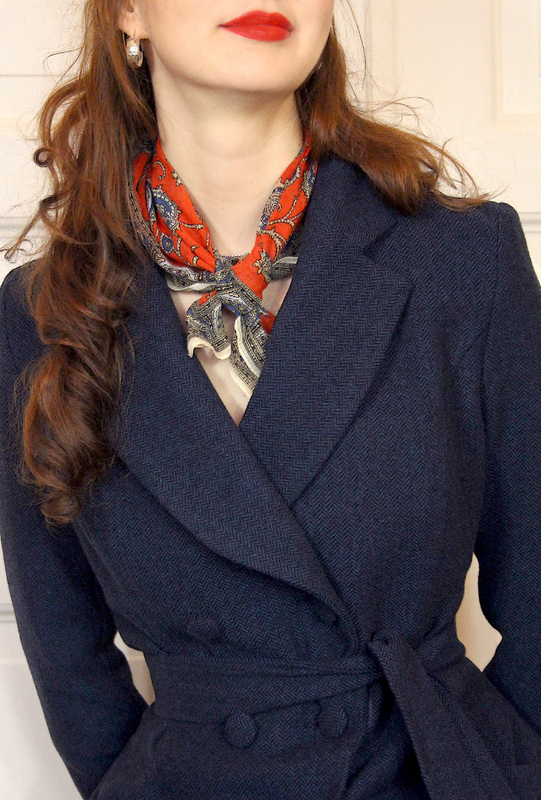 Color: Dark blue with black thread, herringbone woven. 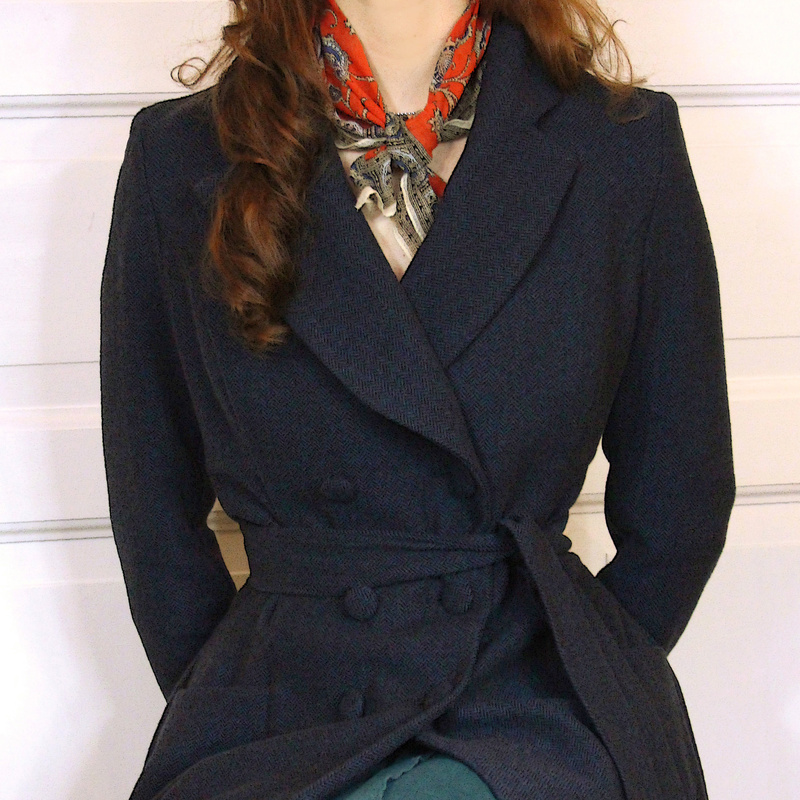 Details: Deep box pleat at the back, generous side pockets, covered buttons and removable belt. Linining: High quality pearl grey stretch-viscose. Fabric: 70 % wool 30 % poly.